Louisa May Alcott’s classic 1868 novel Little Women has been adapted into film multiple times–by most counts, fourteen in all–and some of these versions are not readily available for today’s audiences (notably, the two silent versions from 1917 and 1918). Of all of them, perhaps the three best-known (and most beloved) are the ones from 1933, 1949, and 1994. Most critics consider the earlier of these three to be the best both in terms of acting and as being most faithful to Alcott’s work, but in my mind, all three have just as many strengths as weaknesses (and as we all know, with any literary adaptation there are going to be disappointed fans who bemoan missing scenes or characters from the movie version, but as I remind myself every time I watch Gone With the Wind, you can’t include everything, or every adaptation would be at least seven hours long). Pros: Katharine Hepburn seriously makes the best Jo of them all, despite her age and the occasional tendency to overact in her scenes (in a notorious practical joke, after one particular scene, the film crew lowered a ham onto the stage in honor of such histrionics). Still, her “hamming” fits this utterly dramatic, chest-clenching, brow-beating character to a tee. Hepburn’s portrayal of the character most completely invokes the spirit of the novel’s Jo, painting her a much more free-spirited, self-reliant individual than her cinematic counterparts. Plus, Hepburn herself never looked more luminous on screen than in this film. Just watch the scene where Jo tells Marmee that she needs to leave town after rejecting Laurie’s proposal. Her initial perch on the windowsill as she stares, lost in thought, at the distant moon, a faint sheen of tears in her eyes as she speaks to her mother … or the scene where she befriends Paul Lukas’ Professor Baer, listening raptly as he translates the German song “Nur wer die Sehnsucht kennt” … all perfection. "Roderigo! Roderigo! Save me! Ohh!" Cons: The movie covers the entire course of the novel, in which the sisters age at least five years from beginning to end (I don’t recall exactly how many years pass), yet there is little effort to convey the aging of the actresses as the characters mature. In fact, the actresses portraying the sisters are almost unforgivably older-looking than their characters. Perhaps most egregiously, twenty-three-year old Joan Bennett, who plays the youngest sister, Amy (who ostensibly begins the film as a preteen), is obviously pregnant in some of her scenes, despite the best efforts of the wardrobe department to hide her condition. Indeed, the one concession to aging in the film seems to be Laurie’s somewhat pathetic little mustache at the end of the movie! I don’t know if I agree with the majority of critics who label the 1933 version as the most faithful to the novel, as several important scenes are missing: the incident with Amy and the limes; Meg’s ill-conceived masquerade as a high-society flirt at a wealthy friend’s party; Jo and Amy’s fight, after Amy burns Jo’s novel in a fit of pique, and their subsequent reconciliation after Amy falls through a weak patch of ice; and this film leaves out the bulk of Amy’s journeys in Europe as she and Laurie fall in love. Still, this version does speak most clearly to the sentimental spirit of the novel while avoiding the cloying sweetness that tends to clog similar material in other films of the time period. Pros: Technicolor does this movie many favors, and the cinematography is just lovely. It’s probably the most visually-stunning version (though I do love the black-and-white beauty of the 1933 film). The movie recreates an authentic-looking New England on a soundstage–hard to do. Not for nothing did it win the Academy Award for Best Art Direction (not to mention being nominated for the cinematography itself). Cons: Overall, I have to say that the 1949 version is the weakest of the three films. 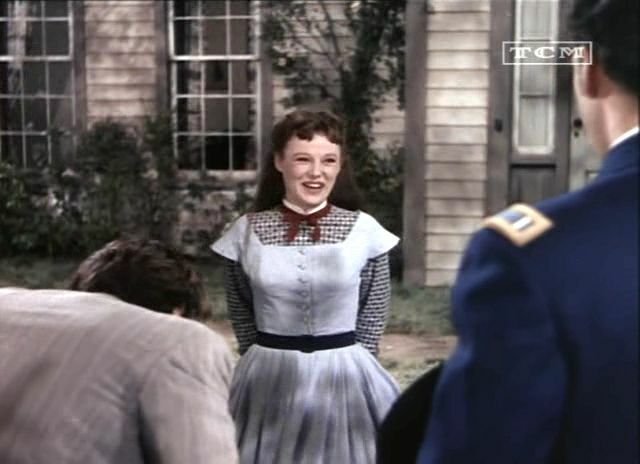 June Allyson, God love her, tries her best to portray a strong, determined Jo, but she is well out of place here. There are several things wrong with her portrayal, the foremost of which is her voice. The almost hoarse quality of Allyson’s voice does not mesh well with the character. Hepburn’s more refined, authentic New England cadence (honed by her rather tony upbringing) outshines Allyson’s own Bronx-tinged accent in this case. In addition, the thirty-two-year old Allyson is way too old to play the character, and her age shows, particularly in the initial scenes of the film (in fact, she was ten years older than Janet Leigh, who plays oldest sibling Meg). 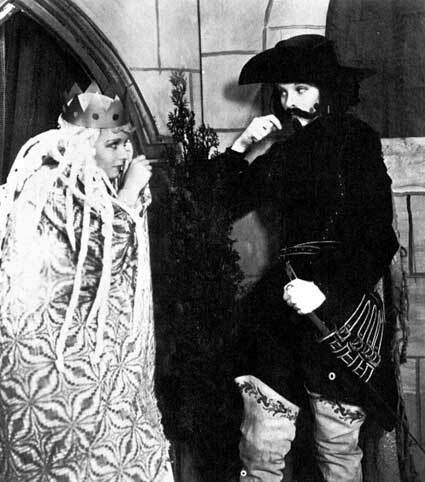 And though Allyson is still kind of charming in the role, she is ultimately not as effective as either her predecessor or her successor; her Jo does not have the same presence of mind nor the freewheeling spirit of the other two. With the exception of Leigh’s sweet, unassuming Meg, the other roles are miscast, too. I particularly dislike that the characters of Beth and Amy were switched in age to accommodate their actresses, as the casting of Margaret O’Brien as Beth necessitated that the character be younger than Amy, who is portrayed by a teenage, unnaturally blond Elizabeth Taylor in a rather bad wig. The film also excludes many of the same important scenes neglected by the 1933 version while including new scenes not seen in the book or in previous films, such as a prolonged shopping trip to the local general store, that really add nothing relevant to the plot. Pros: This version does a much better job of casting age-appropriate actresses than the others, and Winona Ryder makes a believable, ultimately winning Jo (and–hurrah!–she’s actually closest to Jo’s age than her predecessors). And while I still personally prefer Hepburn’s interpretation, Ryder definitely earned her Oscar nomination for this picture, delivering an engaging performance throughout the film. The decision to split the role of Amy between Kirsten Dunst and Samantha Mathis was a good way to handle the aging issue (though the two actresses really don’t look all that much alike outside the blond hair). And I adore Susan Sarandon as Marmee–a truly inspired choice. 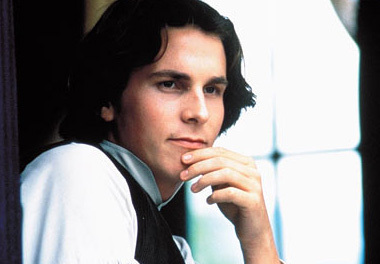 Plus, Christian Bale is really quite pretty. Really. I enjoyed watching him in this role. A lot. A whole lot. Oh, and he makes a good Laurie, too. Who in their right mind says "no" to THIS Laurie??? Cons: Of the actors, I think the least effective is Trini Alvarado’s Meg, who blends into the scenery rather than making an impression in the film. Though the character of Meg is the least interesting of the sisters (in my opinion), during her shining moments, such as her party makeover and her courtship with John Brooke, the actress portraying her should make some effort at coming alive, demonstrating why we should ultimately care about the character. Instead, Alvarado merely looks bemused throughout much of her time on screen. I think that this version follows the letter of the novel much more closely than the two previous versions, though it’s missing the screen magic of the ’33 installment. It’s beautifully filmed, to be sure, and the performances are largely well-received. The tone of this version is less sentimental than the previous two; the somewhat pragmatic aura of the film colors the dialogue, and the performances are more subtle than in previous versions. Plus, the post-second-wave feminist undertones of this version are appealing to the hippie-dippie liberal women’s rights advocate inside me. Still, something seems missing: the innocence of the book (recreated so convincingly in the 1933 film) seems tempered by this movie’s somewhat unsparing look at the world in which the Marches live, detracting from the idyllic, yet knowing, nature of Alcott’s work. In other words, it’s just a bit too realistic to be completely faithful to the hopeful spirit of the book; for even with its depictions of death and the troubles of war, Alcott’s novel retains a sense of innocent optimism and grace, something the ’94 edition of this film ultimately lacks. All in all, each film has its respective good and bad points, but each one is worth a viewing. Though I still have a special place in my heart for the 1933 version, whenever any of these films appears on television, I have to stop and watch it. And the two older versions are relatively inexpensive on Amazon: you can get each one for less than $6 (the collector’s edition of the ’94 version is currently going for almost $15–not too bad, either). Also, you can catch the older two versions on TCM in February: Hepburn’s version on February 4th at 4:15AM EST, and Allyson’s on February 14th at 2AM EST. Tell me: which film version of this classic novel is YOUR favorite, and why? ← A little-known musical classic. I totally disagree! The 1949 version was the best. June Allyson was impeccable! The best movie of all time!